This Starbucks barista deserves a medal. 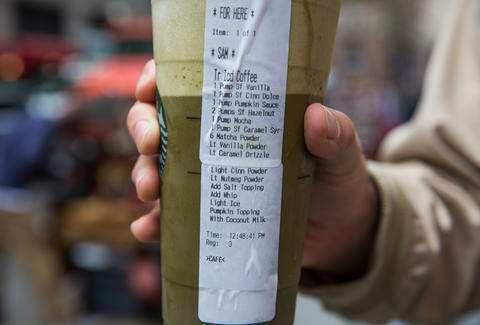 After being asked to concoct a specialty drink with seventeen different ingredients, the barista took to Reddit, posting the contents of the monstrosity for all to witness the horror. 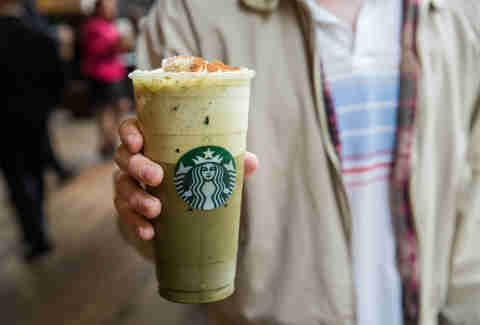 The barista, who posts as Miyomel, was joined by fellow Starbucks employees on the r/Starbucks subreddit, where they collectively dubbed the drink “Baby Vomit.” Why? Because it’s enough to turn your stomach and leave you reaching for the dramamine. This glutinous drink was ordered by a woman named “Alice,” who apparently laughed upon viewing its chunky, dark green hue. For all we know, that laugh was probably maniacal, echoing throughout the Starbucks store like a deranged siren. The clientele at Starbucks can be demanding, so it’s plausible that customers regularly place orders as ridiculous as this “Baby Vomit” nightmare. Baristas have a litany of stories that recount episodes just as bizarre. Hats off to the people making your ice-blended abominations, folks.